I have a packed September edition of the newsletter for you! An urgent action alert, a new video released today, and preparation for this Sunday's kickoff of the Respect Life Program. Please pass to family and friends using the blue "forward this e-mail to my friend" link at the bottom. On August 1, the U.S. Department of Health and Human Services (HHS) issued an "interim final rule" that will require virtually all private health plans to include coverage for all FDA-approved prescription contraceptives, sterilization procedures, and related "patient education and counseling for all women with reproductive capacity." These are listed among "preventive services for women" that all health plans will have to include without co-pays or other cost-sharing -- regardless of whether the insurer, the employer or other plan sponsor, or even the woman herself objects to such coverage. Concerned Americans have until September 30 (just two days left!) to send their comments to HHS. -Write to HHS opposing their recent preventive services mandate. - Write to Congress supporting the Respect for Rights of Conscience Act (HR-1179). 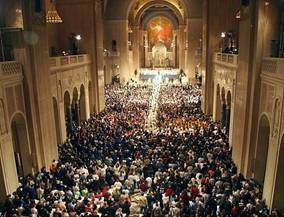 combines images from the procession of the Opening Mass of the National Prayer Vigil for Life in January with powerful and engaging quotes from Cardinal Daniel DiNardo, the Principal Celebrant, and Blessed Pope John Paul II. The second video will be released in this newsletter in October and features Archbishop Joseph Naumann and other bishops opening the March for Life Rally in prayer. Both videos evidence the unwavering commitment of Catholic bishops to the pro-life cause and the great diversity within the Catholic pro-life movement. It is hoped that these videos will inspire others to pray and work for renewed respect for every human life. Please help spread the videos through e-mail, blogs, newsletters and social media. October 2 is Respect Life Sunday! To get ready, please read up on this year's theme. 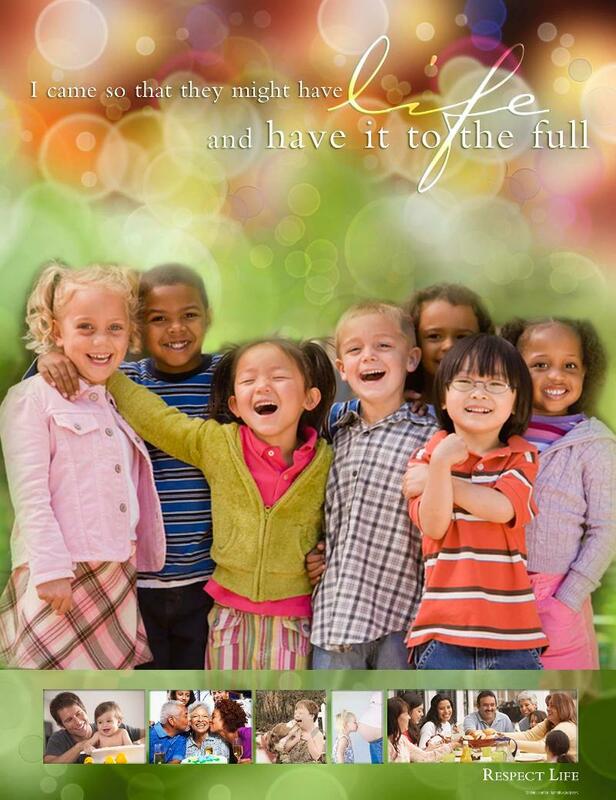 I'll highlight a different 2011-2012 Respect Life Program article here each month. This month's article is the program flyer, which introduces this year's theme that God created us to love and to find true satisfaction in Him and not in earthly things. The USCCB Secretariat of Pro-Life Activities publishes a program packet each year to call attention to numerous human life issues.This year's Respect Life Program takes you back to the basics. Eight pamphlets discuss the main attacks on human life and dignity. The packets also include a liturgy guide, clip art, bulletin inserts and more information for your parish or organization. Spread the Gospel of Life by ordering packets or packet items separately. Order materials here or call toll-free (866) 582-0943. Catch the latest, join in the conversation, and help spread the word! "Like" our "People of Life" and "United States Conference of Catholics Bishops" Facebook pages. Word of Life monthly series. September 30: Life Issues Forum bimonthly op-ed delivered to your inbox. Subscribe today, e-mail us. of the United States Conference of Catholic Bishops. Our mission is to promote respect and legal protection for all human life, from conception to natural death. People of Life or visit here.